The Pearl House is home to girls ages 11-21. They come from rural villages in Ghana where resources are scarce and jobs are non-existent. Most are orphaned by one or both parents and have nine or more siblings. Each day is a struggle to grow enough food to eat, so the girls are often unhealthy and malnourished when they come to us. Their days have been filled with exhausting farm work and inconsistent education at their local schools. Typically, childhood ends in one of two ways for these girls: They are either given away in marriage at a young age and start having babies, or they end up in the city where they sleep on unsafe streets and work during the day. If they’re lucky, they will make enough money to survive and send a little back home to their families. Family culture: Despite coming from diverse tribes, the girls quickly become sisters as they are immersed in a family culture. They share group bedrooms and are cared for by our staff of live-in “house mamas.” Each day, they sleep, eat, study and play together. Physical and emotional care: For the first time in their lives, our girls receive three balanced meals and sleep in comfortable beds. They have access to electricity and water, and they are protected by round-the-clock security. In addition to daily affection from their “house mamas,” the girls receive counseling and other support services from our social worker. Quality education: Education is an ongoing priority, as most of our girls are extremely behind when they arrive. After attending a private Christian school, they typically spend two hours working with tutors each day. Our Sara Walker Library is one of the most popular rooms in the house, offering the girls a quiet and comfortable place to read and think. Their hard work pays off in exciting ways, as girls who couldn’t read when they arrived become voracious learners and bookworms. Spiritual development: We are committed to helping our girls experience the loving God who treasures them beyond words. Each day begins and ends with group devotionals, prayer and singing. Each Sunday, they walk to the church next door for worship with fellow villagers. Cultural experiences and FUN! 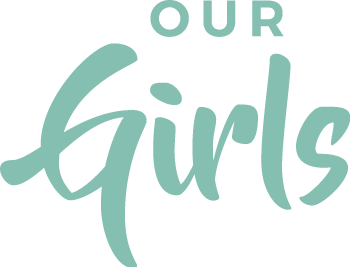 : Through sponsored field trips, local outings and simple activities, the girls are encouraged to experience and enjoy the world around them. The idea of continued education, much less a career, didn’t exist for our girls before they came to The Pearl House. Now they are being prepared to lead their communities and change their nation! From the beginning, each girl meets with our social worker to establish goals and plans for the future. In Ghana, educated teens continue to either a boarding school, which provides the equivalent of a high school education, or to a vocational school. The opportunities that follow are life-changing, particularly for young women from rural villages. Once our girls are academically and emotionally ready, we oversee their transition to continued education. With support from our donors, we “sponsor” the next chapter of their growth by providing the funds, resources and support they need to succeed.